Chivalry isn't dead. It just wears a skirt. 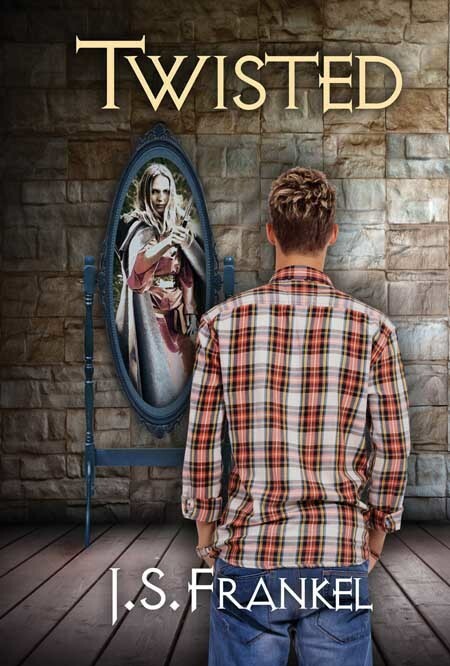 Highschoolers Charlie Matthews, adopted brother of Martin Anderson, and Sharon Collins win a contest to play an interactive medieval game as the avatars of their favorite characters. Their mission: fight off the monsters, storm the castle, and capture the evil king. But things go terribly wrong. Charlie is dismayed to discover he is Angella of Avernon, the lead female character in the game. Fortunately, she's the most powerful avatar around, but he also finds out that he, Martin, and Sharon have been infected with a virus that will kill them outside the game, so they have to stay inside the scenario. Trapped and beset on all sides, Charlie has to deal with the sexism of the characters circa 1430, his brother's distaste for his female form, and his feelings about becoming a woman. In addition to fighting off the various monsters within the scenario, Charlie tries to fight his attraction to Sharon...and then realizes Sharon is attracted to him, which makes it all the more confusing. When the deadly opponents in the game get the upper hand, Charlie must summon all of his love and courage to save the day and rescue Sharon. Will he understand that love is where you find it and that the gender of the one you love doesn't matter at all? Add your review of "Twisted" in comments!